The second of two American stops on the 2015 IAAF Diamond League circuit is upon us as New York’s Icahn Stadium on Randall’s Island will play host to the 2015 adidas Grand Prix on Saturday. Some massive stars will be in action in the Big Apple as Usain Bolt (entered in the 200 at 2:54 p.m. ET) will race in the U.S. for the first time since setting his first world record at this meet in 2008. David Rudisha makes his return to competition in the 800 after dropping out of the 600 in Ostrava on May 26 due to injury; he’ll face several Americans, including Duane Solomon, Matthew Centrowitz and Robby Andrews. The women’s 800 features a USA preview with Brenda Martinez vs. Ajee Wilson, while Ben True takes on top talents Hagos Gebrhiwet, Dejen Gebremeskel and Thomas Longosiwa in the men’s 5,000. Will Claye takes on former New York Giants running back David Wilson (among others) in the men’s triple jump, Lolo Jones goes in the 100 hurdles and world champ David Oliver leads a stacked 110 hurdles field. Sub-4:00 high schooler Grant Fisher will look to defend his title in the Boys Dream Mile, while Mary Cain will race for the first time since taking a break from Alberto Salazar and the Nike Oregon Project as she’s entered in the women’s 1000. It should be a terrific meet, and the timing works out perfectly as the meet will be over by 4 p.m. 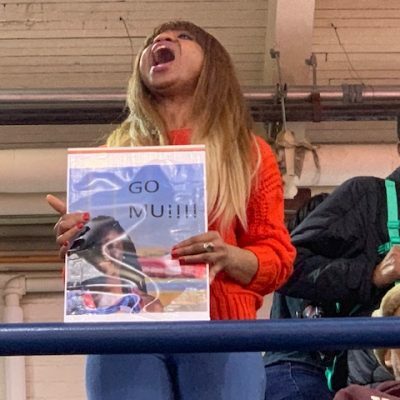 ET, which mean track nuts can switch over and not miss any of the final day’s action at the NCAA Outdoor Track & Field Championships (which begins at 5 p.m. ET). When: Saturday, June 13. Field events begin at 9:40 a.m. ET; the online broadcast on USATF.TV begins at 12 p.m. ET with the TV broadcast starting at 1 p.m. ET. How to watch: Live on NBC from 1 p.m. to 3 p.m. ET (USATF.TV will also have live coverage from 12 p.m. to 1 p.m. ET and from 3 p.m. ET to the conclusion of the meet). In Europe, you can watch the meet live on Eurosport. 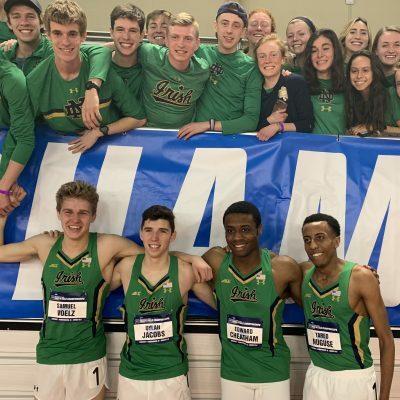 While this race is loaded with the best high school milers in the country, there isn’t much drama to be had. Grant Fisher broke 4:00 last week, so even if he manages to do it again in New York, it won’t be quite as exciting. And the potential showdown between sub-4:00 high schoolers Fisher and Matthew Maton — the first two boys to accomplish the feat in the same year, and just the sixth and seventh to ever do it — didn’t materialize as Maton had to withdraw with an Achilles injury. There’s still plenty of talent in this race, though, led by heavy favorite Fisher, who won here last year in 4:02.02, and Carlos Villarreal (Rio Rico, Ariz.), who used a big kick to win the high school mile at the Pre Classic on May 29. Kenya’s Virginia Nyambura, winner of two of the three DL steeples this year, will aim for #3 in New York. The only woman that would appear capable of stopping her is 2014 world #1 Hiwot Ayalew, who has the best PR in the field by some margin and finished second (Doha) and third (Rome) in her first two DL steeples of the year. With many of the top Africans choosing to sit this one out, it could be time for an American to shine in New York. Sadly Emma Coburn is sitting this one out. NJ*NY TC’s Ashley Higginson, who was second at USAs last year, is tops among U.S. entrants but her 2015 opener of 9:41.27 at Oxy ranks her only sixth on the U.S. list this year. Look for her to use Nyambura and Ayalew to help drag her to a fast time. The silver medalists at the last two global championships, Hagos Gebrhiwet (’13 Worlds) and Dejen Gebremeskel (’12 Olympics) will clash here in a field that also includes ’12 Olympic bronze medalist Thomas Longosiwa of Kenya. Gebrhiwet beat both of them in Rome a week ago, running 12:58.69 to take third behind 17-year-old stud and fellow Ethiopian Yomif Kejelcha (Longosiwa was fifth in 12:59.78, Gebremeskel eighth in 13:00.49). One of those three — Gebrhiwet, Gebremeskel and Longosiwa — should be your winner here. The 1500 remains Nick Willis‘ best event, but the 32-year-old Kiwi has begun to dabble in the 5,000 in recent years. He won his first 5,000 of the year on February 26, running 13:22.11 at the Auckland Track Challenge, but this will be a much greater test. This race will also be the first 5,000 track races of 2015 for Uganda’s Moses Kipsiro (last year’s Commonwealth Games 10,000 champ) and the U.S.’s Ben True. 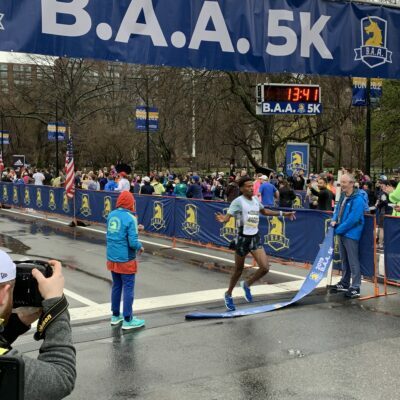 After failing to make the U.S. team for World XC in February, True has lit it up in 2015, winning the U.S. 15K Champs in March, setting an American road record for 5k in April and outkicking arguably the world’s best road racer in Stephen Sambu to win the Healthy Kidney 10K in New York on May 30. True doesn’t have the IAAF standard of 13:23.00 in the 5,000, so at a bare minimum he’ll be looking to knock that time out. A PR might be difficult (the adidas Grand Prix historically hasn’t produced fast times in the distances) and with a high of 85 degrees and 10-15 mph winds on Saturday, conditions appear ill-suited to distance running. The bigger indication is how True fares against the African studs Gebrhiwet, Gebremeskel and Longosiwa. If he can be competitive with those guys, he’ll know he’s in good position to make the U.S. team at 5,000 this year. If not, his position may be more precarious, depending on how far back he finishes. 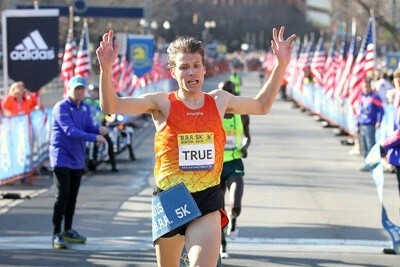 Two years ago, True was 4th in this race, battling Ibrahim Jeilan to the line. Wilson and Martinez were second and third in an extremely fast 800 at the Pre Classic last month, with Wilson narrowly missing her PR by running 1:57.87. With fellow Americans Chanelle Price (2014 world indoor champ) and Molly Beckwith-Ludlow (who ran 1:59.81 in Nashville last week), this race will offer one last look at how the top 800 women in the country stack up before USAs begins in less than two weeks. Kenya’s world champ/world leader Eunice Sum, usually a fixture in Diamond League 800s, is sitting this one out after winning in Birmingham last weekend, leaving the door open for Wilson — a clear second on the 2015 world list — to go for her third career Diamond League victory. The headliner here is obviously the world record holder Rudisha, who hasn’t raced since pulling up lame in the 600 in Ostrava on May 26. Rudisha grabbed his right quad after that one and was forced to withdraw from last week’s DL meet in Birmingham, but he will be back in action in New York. 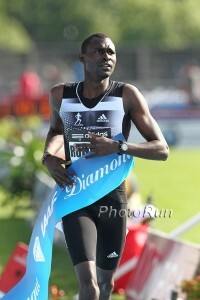 Mo Aman and Nijel Amos seized control of the 800 last year as Rudisha worked his way back from the knee injury that derailed is 2013 season. Those two have continued to excel in 2015 (Aman winning at Pre and in Rome, Amos winning in Birmingham, though neither will race here). The question is, can Rudisha get on their level in 2015? There’s no questioning the 26-year-old’s talent, but we just don’t know much about his current fitness/health and the Rudisha we saw in 2014 was not the same man who destroyed the world from 2009-12. Rudisha has won both races he’s finished this year, the first in 1:45.01 in Sydney on March 14 and the second in 1:44.94 in Melbourne a week later (though his .35-second margin of victory over Jeff Riseley may have been closer than he would have liked). Apart from that, we have nothing to go on in 2015. If he goes out and dominates this race as he did two years ago, it will show Rudisha should be ready to contend for a medal at Worlds again. This field isn’t very strong for a DL 800; Bosse is the only guy who would give a guy like Aman or Amos any problems (a peaked Duane Solomon would as well, but Solomon hasn’t raced since splitting a 1:47.60 at World Relays on May 2). If Rudisha struggles to win — or if he loses — it will show he’s got work to do before catching up to the top guys in the world. That’s a good sign for Solomon fans, who may recall that he ran 1:43.44 in that race to PR by over a second and finish third. There’s a lot of uncertainty surrounding the 800 at USAs right now, but if Solomon is as fit as he says he is, he becomes the favorite to win his third straight national title. With Robby Andrews, Andrew Wheating, Leo Manzano and Matthew Centrowitz among the other Americans entered in New York, this is officially a must-watch race. When the Oregonian‘s Ken Goe reported that 19-year-old Mary Cain had decided to return home to New York and take a break from the Nike Oregon Project, it mean that her next race would be heavily scrutinized by the media. That media attention will likely double or triple now that her coach Alberto Salazar has been accused of violating doping rules by several former athletes and NOP staffers. How Cain races (she was last seen running 4:16.48 to place 11th out of 12 runners in the second heat of the 1500 at Oxy on May 14) is important, but equally important is how she responds to the questions on everybody’s minds: What drove her decision to return to New York? Did it have anything to do with the ProPublica/BBC report about Salazar? Will she keep Salazar as her coach? Hopefully she’ll be able to provide some answers on Saturday.